Check this out! Minky Couture is bringing this classic plaid pattern back into the spotlight! 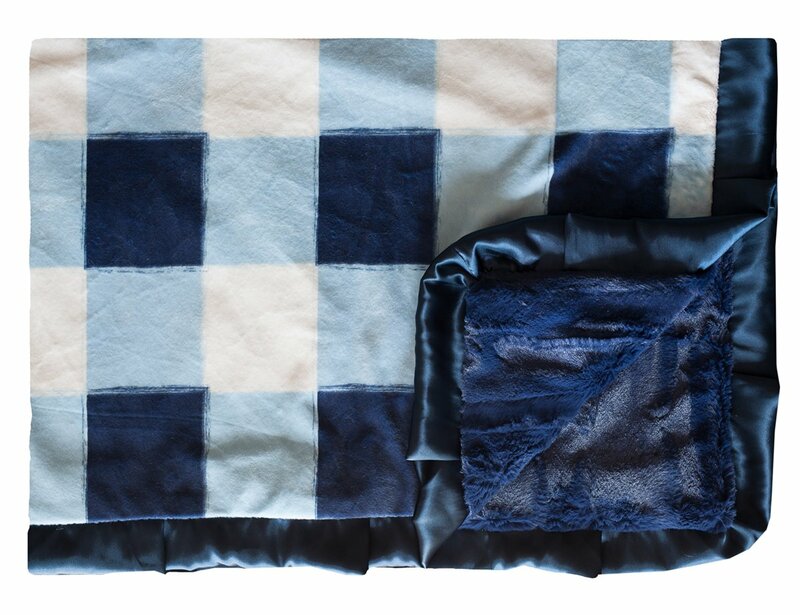 Add some urban style to any room with our Buffalo Check. Navy, light blue, and cream plaid, with navy minky back and matching satin ruffle. Cuddle up with this chic design that can only be found at Minky Couture.